Level up your iOS development skills with our best book bundle: Machine Learning by Tutorials, Advanced iOS App Architecture, Advanced Apple Debugging, Realm, RxSwift, Push Notifications by Tutorials, Data Structures and Algorithms in Swift, ARKit by Tutorials, Server Side Swift with Vapor, and Metal by Tutorials! Want to know a secret? Machine learning isn't really that hard to learn. The truth is, you don't need a PhD from a prestigious university or a background in mathematics to do machine learning. 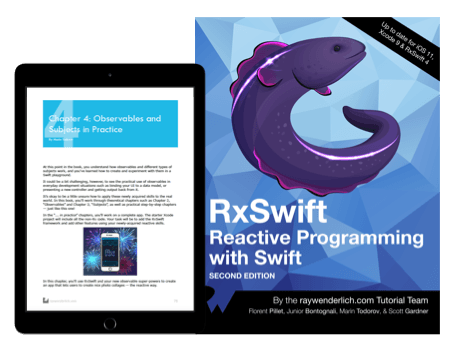 If you already know how to code, you can pick up machine learning quite easily — promise! 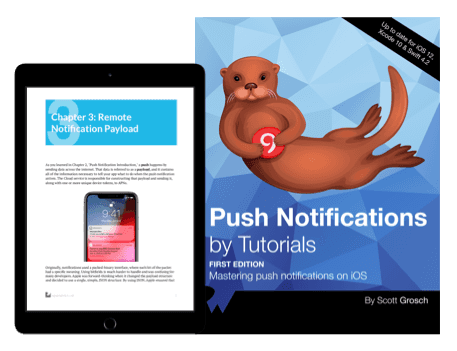 This book will get you started with machine learning on iOS and Apple devices. 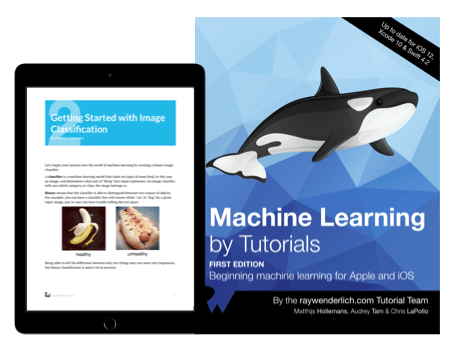 The first bit is a gentle introduction to the world of machine learning and what it has to offer — as well as what its limitations are. 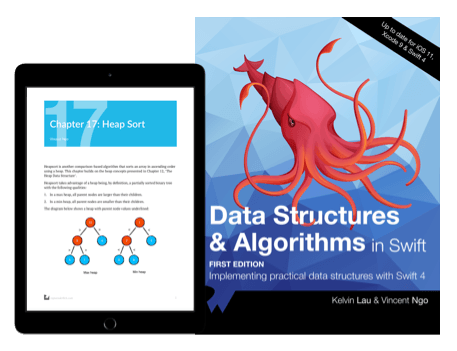 In the rest of the book, you'll look at each of these topics in more detail, until you know enough to make machine learning a useful tool in your software development toolbox. 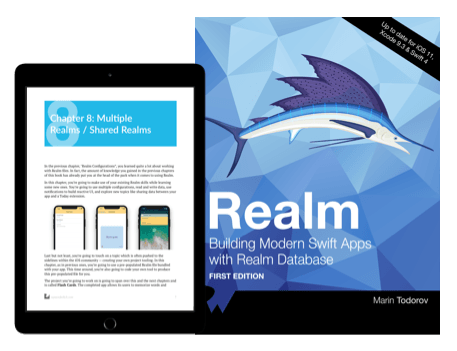 Apps are becoming more complex, and development teams are being pressured to deliver faster results in the face of constantly changing requirements. 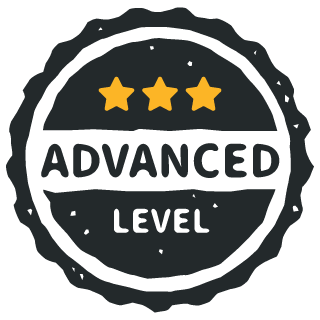 Now, more than ever, you need to understand and apply good software architecture practices in your projects. 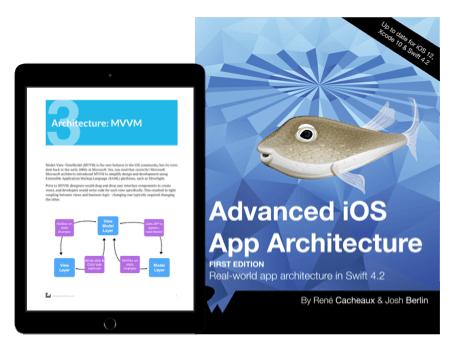 Advanced iOS App Architecture thoroughly explains multiple modern iOS architectures, and demonstrates their usage in real-world apps. 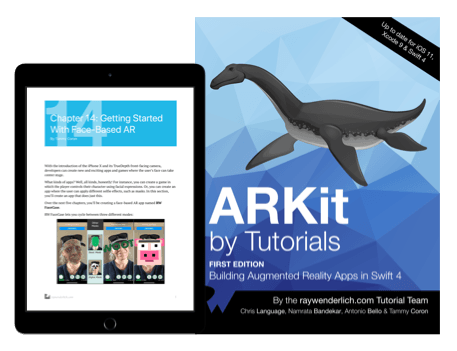 ARKit is Apple’s mobile AR development framework. With it, you can create an immersive, engaging experience, mixing virtual 2D and 3D content with the live camera feed of the world around you. What sets ARKit apart from other AR frameworks, such as Vuforia, is that ARKit performs markerless tracking. ARKit instantly transforms any Apple device with an A9 or higher processor into a markerless AR-capable device. At this very moment, millions of Apple users already have a sophisticated AR device right in their pockets! 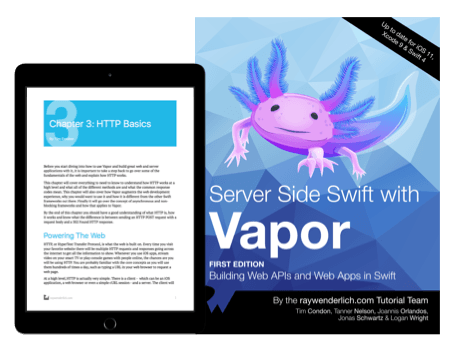 If you’re a beginner to web development, but have worked with Swift for some time, you’ll find it’s easy to create robust, fully-featured web apps and web APIs with Vapor 3. 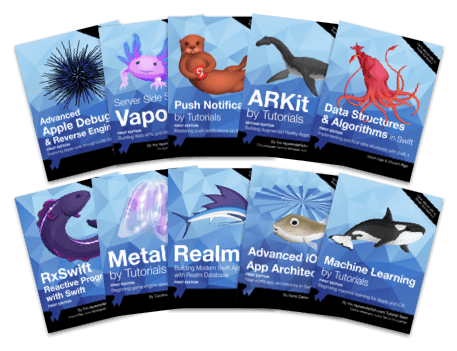 Whether you’re looking to create a backend for your iOS app, or want to create fully-featured web apps, Vapor is the perfect platform for you. 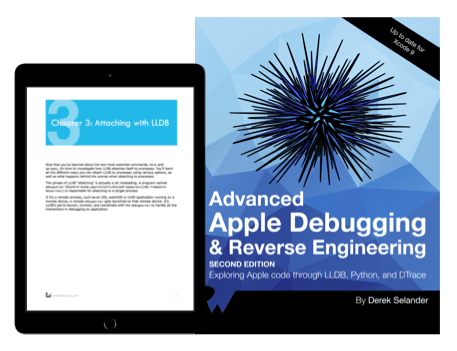 This book will introduce you to low-level graphics programming in Metal — Apple’s framework for programming on the graphics processing unit (GPU). 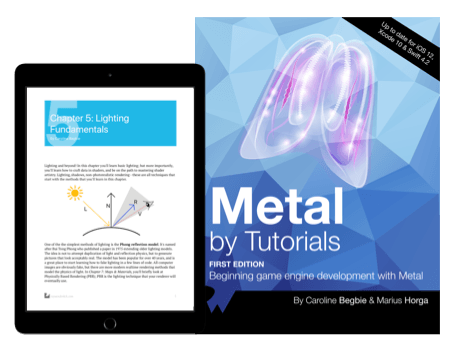 As you progress through this book, you’ll learn many of the fundamentals that go into making a game engine and gradually put together your own engine. Once your game engine is complete, you’ll be able to put together 3D scenes and program your own simple 3D games. Because you’ll have built your 3D game engine from scratch, you’ll be able to customize every aspect of what you see on your screen.